When will be Worst Cooks in America next episode air date? Is Worst Cooks in America renewed or cancelled? Where to countdown Worst Cooks in America air dates? Is Worst Cooks in America worth watching? Chef Anne Burrell is back for a seventh season of trying to turn some of America's worst cooks into kitchen stars. This time, however, the recruits are seven celebrities who can showcase their talents on TV and in movies, but not no so much in the kitchen. Burrell competes against Worst Cooks in America newcomer Rachael Ray to see which chef can lead one contestant to make the most impressive culinary transformation. Actors Dean Cain, Ellen Cleghorne, Jaleel White and Barry Williams join reality stars Jenni "JWoww" Farley, Chris Soules and Kendra Wilkinson in boot camp. The winning star gets $50,000 for charity and bragging rights for his or her mentor. Not all of the celebrities will make the cut, however; after an opening potluck dinner each mentor selects three recruits to be on her team, leaving one celebrity to be sent home before the competition really begins. Burrell is looking to extend her record to 5-2, while Ray looks to get the win in her first season. Fourteen of the worst cooks in America enter culinary boot camp with dreams of putting their kitchen nightmares behind them. Anne Burrell and Robert Irvine want to see what they're dealing with, so they ask the recruits to make their signature dishes, with truly disastrous results. After being sorted into teams, the recruits dive right into the deep end of the kitchen by learning to make a surf and turf dish. The recruits with the worst dishes on each team are sent home. The recruits enter boot camp and find it has been transformed into everyone's favorite game show, Family Food! The teams go head to head in trivia rounds and culinary tasks testing their knowledge of the kitchen. The recruits watch a Teppanyaki chef perform dazzling tricks over a grill, and then Anne Burrell and Robert Irvine teach them how to make a hibachi-style meal for the main dish challenge. The recruits who light up the kitchen will continue on, but those who stumble will go home in a blaze. Anne Burrell and Robert Irvine decide that it's time for the recruits to spread their wings. For the skill drill, they must work in teams to identify the ingredients of five mother sauces and then create their own chicken with pan sauce dishes for their chef. The main dish challenge finds the chefs teaching their recruits to make fried chicken and cornbread, and the recruits who struggle are forced to fly the coop. The kitchen can be a scary place and this week, with the help of Anne Burrell and Robert Irvine, the recruits must learn to face their fears in boot camp. In the Skill Drill, the recruits are forced to expand their palates with some unusual ingredients in a Cake Walk-inspired game that proves to be anything but a cakewalk. Then the recruits get up close and personal with some creatures of the sea, harvesting ink to make fresh squid ink pasta. The brave recruits who conquer their fears will continue on, but those who struggle will be doomed. Anne Burrell and Robert Irvine leave the recruits to their own devices for this week's Skill Drill, asking them to work in teams to recreate a dish by taste alone. Unbeknownst to the recruits, the chefs secretly watch their every move over CCTV and are shocked by what they see. For the Main Dish Challenge, the recruits have to bake a multi-tiered cake to suit the interests of two very special guest judges: Gesine Prado and Jason Smith. In the end, Anne and Robert must decide which recruits satisfy their sweet tooth, and which ones leave them with a toothache. With only one more week until the winner is crowned, the final four recruits must start thinking about life after boot camp. For the Skill Drill, the recruits learn their way around a grocery store when boot camp is transformed into "Worst Cooks General Market." For the Main Dish Challenge, the recruits are reunited with their loved ones and asked to make them a dish to show off their new skills. Anne Burrell and Robert Irvineteach their ducklings how to make duck two ways, a dish sure to impress their nearest and dearest. After, the loved ones taste each of the dishes in a blind taste test, and those that fail to impress risk being eliminated. The remaining recruits face off in one last Skill Drill to determine who will compete in the finale. To see how far they have come, the recruits recreate their baseline dishes using all the techniques they have learned since entering boot camp. After, Anne Burrell and Robert Irvine teach their final two recruits how to prepare a three-course, restaurant quality meal. For the final Main Dish Challenge, the two finalists put all their newly learned culinary skills to the test in order to impress a panel of culinary experts. Judges David Burtka, Daphne Oz and Melba Wilson taste the recruits' dishes in a blind taste test and determine the winner of the $25,000 prize. Worst Cooks in America next episode air date provides TVMaze for you. 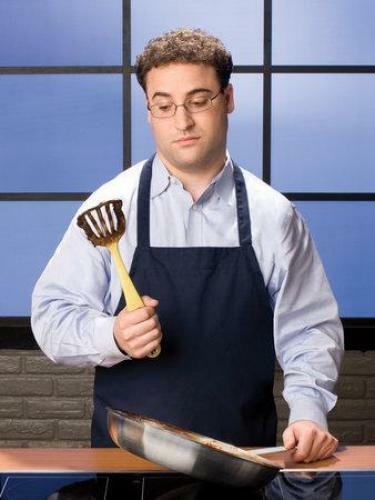 EpisoDate.com is your TV show guide to Countdown Worst Cooks in America Episode Air Dates and to stay in touch with Worst Cooks in America next episode Air Date and your others favorite TV Shows. Add the shows you like to a "Watchlist" and let the site take it from there.